You’ve self-disclosed an alcohol or drug problem, or you’ve failed a drug test, and you’re no longer allowed to fly. The career you’ve worked so hard to build up seems in jeopardy, and the path back to the cockpit seems insurmountable. 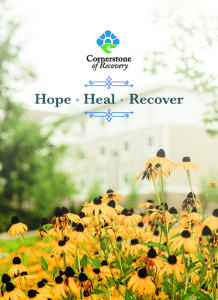 At Cornerstone of Recovery, we understand that discouragement and that desperation, because we’re one of the few treatment facilities in the nation with a program specifically designed for pilots who have a problem with alcohol or drugs. Our Aviation Program is designed to treat your addiction and address its underlying causes, while helping you set the stage for a return to the sky through the Pilots HIMS Program (Human Intervention and Motivation Study). Discharge planning that includes HIMS-compliant outpatient recommendations for follow-up care. Cornerstone of Recovery’s reputation as one of the top treatment providers in the nation for aviation professionals has earned us a long-standing relationship with the FAA. Our Aviation Program staff members are familiar with specific HIMS treatment protocols, including reporting requirements for the industry and specific airlines, and our 30-day residential inpatient process allows patients, as a first step, to earn a special issuance medical certificate. As part of the residential inpatient program, you’ll be immersed in both clinical and traditional approaches to drug rehab; our goal is to help you discover the root causes of your addiction and address past trauma that may play a role in your dependence on drugs and alcohol. We use both 12 Step and academic models of recovery, and as part of the larger Cornerstone community, you’ll take your recovery journey as part of a network of peers all seeking the same thing: freedom from active addiction and alcoholism. At the same time, you’ll take part in treatment that’s unique to pilots, all of it 100 percent HIMS-compliant and designed to meet all FAA protocols and requirements. Our staff members work to help pilots meet the requirements necessary for pilots to return to the cockpit. It’s a rigorous process, but know this: Cornerstone’s Aviation Program was conceived by long-time members of the aviation industry with more than 40 years of experience working with the FAA, airline companies and unions. We’ve treated hundreds of pilots over the years, and because we’re just 5 minutes from Knoxville’s metropolitan airport, many pilots in recovery come by campus to attend Aviation Continuous Care groups, and some even act as mentors for pilots who seek treatment at Cornerstone. When you’re grounded, it may seem like the end of your career, but we can assure you, it’s anything but. Often, it’s the beginning of a journey toward a new way of life, one in which you’ll find a new you and a new outlook. In Cornerstone’s Aviation Program, you’ll find all of the resources you need to overcome your addiction and return to the skies before you know it. And once you’re there, we’re confident you’ll see them through fresh eyes and with a perspective you’ve never had, thanks to recovery. Call us today and find out more information on how we can help. Call And Speak With One Of Our Highly Trained Admissions Staff Members Today!